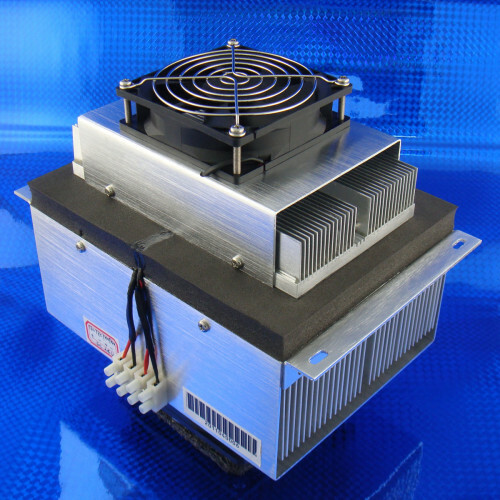 80 Watts of cooling capacity at 0°C delta T.
Complete assembly for cooling or heating small enclosures, mini fridges, and other light duty temperature regulation applications. Fully assembled ready to bolt in place and connect to power. Simply cut hole in enclosure and mount in minutes. Also known as; peltier air conditioner, thermoelectric air conditioner, solid state air conditioner.